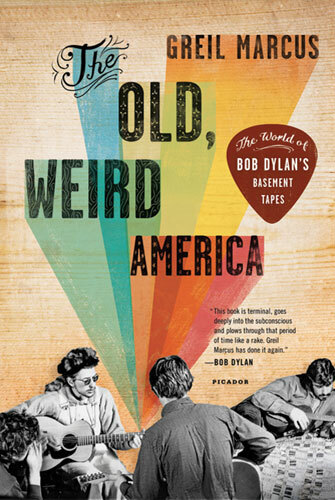 Greil Marcus, author of The Old, Weird America, discussed Bob Dylan’s basement tapes at Magers & Quinn Booksellers last Thursday. The room was packed and hot, spewing into the aisles of bookshelves in the back of Magers & Quinn. A fan was sputtering in the corner. The lot looked like an aging crowd of hippies, cheerfully hanging on to the memories of those old days like the idea of hope, which is still here, existing in a similar underground collection of hipsters that will always be its staple figure. It’s part of our culture. It’s part of the real America. In those that believe the record player will always reign as the king of our favorite wood-floored rooms. It’s almost laughable, but it’s true. Greil Marcus was inspiring. He was almost not real. A different breed. An encyclopedia-brained type, he spoke with the eloquence of a History Channel narrator. This man knew everything there is to know about Bob Dylan, and everything that falls into that era. He spoke without specific opinion, but retained a journalistic, observational quality. His writing style, he noted, is similar to William S. Borroughs, and to me, carries an energy close to that of Allen Ginsberg or John Clellon Holmes. The basement tapes–the name shifted slightly in the journey to contraband–became a talisman, a public secret, and then a legend, a fable of retreat and fashioning. When a collection of sixteen basement recordings, plus eight Band demos, was officially released in 1975 and reached the top ten, Dylan expressed surprise: “I thought everybody already had them.” From the first, the most immediately striking basement tape numbers–”I Shall Be Released,” “This Wheel’s on Fire,” “Tears of Rage,” “Down in the Flood,” “Million Dollar Bash,” — were recognized for a peculiar grace and spark; for a spirit, as I wrote in the liner notes to the bawdy house. The music carried an aura of familiarity, of unwritten traditions, and as deep a sense of self-recognition, the recognition of a self–the singer’s? the listener’s?–that was both historical and sui generis. The music was funny and comforting; at the same time, it was strange, and somehow incomplete. Out of some odd displacement of art and time, the music seemed both transparent and inexplicable. The conversation on Thursday wove back and forth from tales of Dylan times, to a discussion on Dylan’s career, is it time for him to give it up, as his voice becomes distorted and strained, or should he play on, so a new audience of fans can tell their children that they saw Dylan, live. No decision was made. But the observation was noted, and similarly, Marcus added, was a common topic of dissension he hears about Dylan these days. This book has been said to “read like a thriller” (Entertainment Weekly) and exhibit “a mad, sparkling brilliance” (The New Yorker). It is as much for the avid Dylan fan, as it is for the Dylan novice, looking to get a closer, deeper picture of a man who is a multi-talented legend. Event: Each year, since 1997, the Hennepin County Library Foundation has put on an author lecture series called, “Pen Pals,” bringing renowned authors such as Amy Tan, Tim O’Brien, Michael Chabon, John Updike, Joyce Carol Oates, Ann Patchett, and many, many, others to our Minneapolis writing community. Who knew? As I was assessing the monthly literary events on the Rain Taxi Lit Calendar, still aghast that it was already May, I came across Dave Eggers and assumed I must be delusional. But no, clicking through to the Library Foundation website, I found that yes, this was real. I was not manifesting my subconscious (I had just finished reading A Heartbreaking Work of Staggering Genius and am a bit more than obsessed with McSweeney’s). 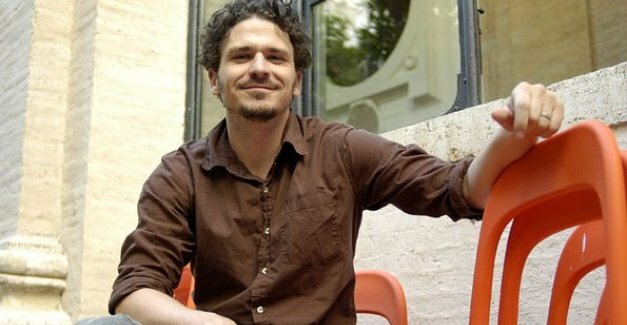 So when I read that Dave Eggers was nearing the vicinity of Minneapolis, I thought real hard about the pricey ticket to attend, since I’m moving across the country soon and starting the next leg of my life on a graduate teaching salary, but not too hard. Because, in fact, my life goal is to start a lit magazine, housed in a coffee shop/wine bar, with an open art studio space, and classrooms–sort of an 826 Valencia meets Open Book type vision. So this was too good to pass up. It was, like all things of course are, destined. Right? I like to live my life that way. Whenever I’m consciously living my life that way, a mysterious, yet unquestionably present force sets everything in a positive motion. This was a must. For those of you that do not know of this amazing, inspiring, incessantly funny man, he is somewhat of a rock star of the Lit world, if you will. From the exuberant tales of his jadedly fantastic mid-twenties, raising his younger brother Toph after the tragic deaths of both his parents, from cancer, five weeks apart, documented in his pseudo memoir, the aforementioned Heartbreaking Work of Staggering Genius, to the fabulous, also noted, often hilarious Lit Journal, McSweeney’s, Eggers has authored a prolific number of similarly terrific and bizarre works, such as the fur-covered Wild Things novel, based off the childhood favorite, Where the Wild Things Are, and a series of faux-educational visual reference books, like Giraffes? Giraffes!, no joke, yet there are many jokes. Eggers, if not to find light in life after the unthinkable, is no less a talented humorist, with a parallel side of thoughtfulness, which is evident in his latest works, based on true stories, Zeitoun and What is the What (which I have since purchased and will review soon!). Going into the lecture, I had no idea what he would cover, but that did not much matter. It obviously would be something of a near-comedy show, with, I presumed, a bit of personal bio, and, likely, some sort of take-action component. After about eight seconds, we were all laughing, then Dave (can I call you Dave?) began his magical storytelling and proceeded to talk, appropriately enough for the crowd, about: education. Listen to the fabulous lecture above. In 2002, in the Mission District of his resident San Francisco, Eggers started an amazing organization with educator Nínive Calegari called 826 Valencia, which offers free tutoring for students from professional writers and volunteers. In order to house the space for the tutoring center, as well as the offices for McSweeney’s, they needed to front the space with some sort of store because it was zoned for retail. So, they did a bit of market research and found that there was a real void for one particular type of shop: Pirate Supplies. And so the successful non profit was born, the air of fun already rolling off of glass eyes and out of secret drawers. Of course this type of atmosphere was bound to spark the creative mind of a child. They have since created 826 National, the parent for the non profit organization, and have created a model for sister chapters of 826 literary centers across the country, with seven recognized chapters, all with their own themed stores, including the Brooklyn Superhero Supply Store in NYC, the Echo Park Time Travel Mart in LA, the Liberty Street Robot Supply and Repair Store, and more. Click here for more information on the 826 chapters, how to apply for chapter recognition, etc. Just six short years after founding 826 Valencia, Eggers was awarded the TED prize: $100,000 and one wish to change the world. His wish was to inspire and collect the stories of private citizens engaged in their local public schools. Once Upon A School is the online initiative developed to facilitate these stories and work as a guide for educators to learn how to help or how to receive help. ‘I AM:’ A documentary everyone needs to see! ‘I AM’ is an amazing, existential documentary that probes the purpose of life and our intrinsic connectedness. This is a wonderful film written by an unexpected director. Previously known for his successful Jim Carrey comedies, Tom Shadyac asks, “What’s wrong with our world and what can we do about it?” After suffering from Post Concussion Syndrome, following a cycling accident, Tom started welcoming the idea of death. Then one day, his symptoms disappeared. With some perspective, feeling completely removed from his life, he came to the ultimate conclusion that all of his “stuff” did not make him any happier. He sold his Malibu mansion and moved into a mobile home. Armed with nothing but his innate curiosity and a small crew to film his adventures, Shadyac set out on a twenty-first century quest for enlightenment. Meeting with a variety of thinkers and doers–remarkable men and women from the worlds of science, philosophy, academia, and faith–including such luminaries as David Suzuki, Noam Chomsky, Howard Zinn, Archbishop Desmond Tutu, Lynne McTaggart, Ray Anderson, John Francis, Coleman Barks, and Marc Ian Barasch, Shadyac builds a compelling new view of the truth about life. This film sets forth a mission to show us that we are all intrinsically connected at levels we do not even realize. Offering real proof of how our emotions shoot away from us just the same as radio waves with a demonstration of live yogurt colonies, and their response to Tom’s emotions, to heartwarming moments like Tom giving away “free hugs,” this film pulls on a thread of human compassion and the human instinct to help. Warning: For those of the emotional type, be prepared, this is a tearjerker. This film will actually change your life.